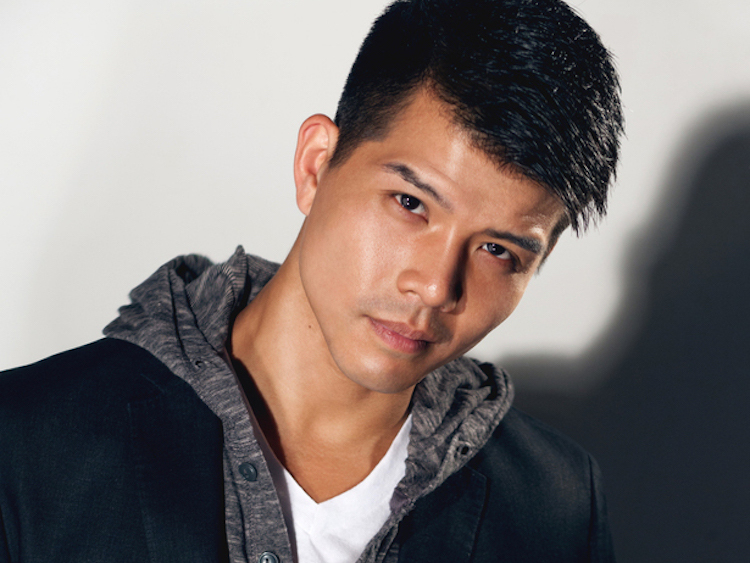 Telly Leung made a splash as Wes in Glee, while also establishing himself as a go-to Broadway performer, having appeared in Flower Drum Song, Godspell, and now Allegiance (a musical about Japanese-American internment camps, based on George Takei's experiences and costarring Takei). And the New York City-born entertainer records music too, with an imminent CD called Songs For You. Mixing pop, jazz, R&B, and Broadway standards, he croons songs recorded by people like Michael Jackson and Mama Cass and written by legends like Sondheim and Jerry Herman. I talked to Telly about his life, his music, and his love. Musto: Hi, Telly. I’m not always crazy about “New York State of Mind,” but I loved what you did with it as the single off your CD. Telly Leung: Thanks. As an ‘80s kid, I grew up on Billy Joel, who was one of my dad’s favorite artists. We always had Billy playing in house and that song became an unofficial anthem of New York City. I detect a distinct R&B flavor in your version. Part of why I Iove doing my own music is I have wonderful musicians behind me. A trio consisting of Gary Adler (cowriter of Altar Boys), Michael Croiter, and Mary Ann McSweeney, who did this arrangement. We love R&B music and Miles Davis and thought, “How do we fuse those worlds? What if Miles had arranged ‘New York State of Mind’ and it was a little more contemporary and fresh?” I want to spark memories, but I want listeners to hear it for the first time as well, our way. The album is called Songs For You because each song has a special dedication in my heart. I love being an actor, but I love doing club acts because it’s just Telly as Telly. 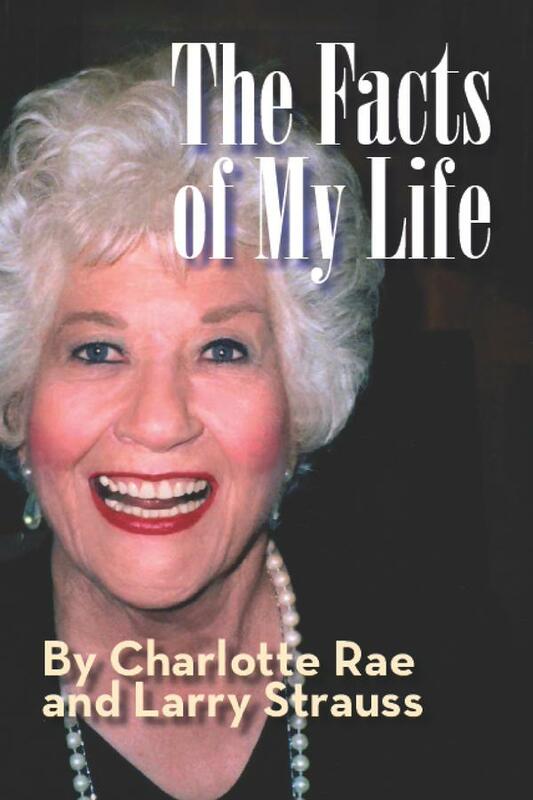 When I share a personal dedication, it takes on a whole new life. As a Brooklynite, that song is for all my friends I grew up with. So the CD will specify who each song is dedicated to? We’re going to make it part of the CD packaging. “Being Alive” is dedicated to Billy Porter, who was a teacher of mine at Carnegie Mellon and a guest director of mine and was very much responsible for my first Broadway break in Flower Drum Song. He put me on a Greyhound bus and sent me on my first audition. I had no agent, just a phone call from Billy. He stuck his neck out for me. Which song is dedicated to your partner? “Leaving On A Jet Plane.” He’s somebody that’s not in the business. He’s a civilian and has a 9-to-5 job. His name is Jimmy, but he hates having his name in articles. He’s so shy when it comes to that. But as a gypsy, I’m always packing suitcases and traveling somewhere to bring home the bacon. One phone call and I’m off to somewhere else. But absence does make the heart grow fonder, and it makes us work really hard on the relationship. My friends who have been career-touring actors taught me an unspoken rule of tour life—what they call a three-week rule. No matter how expensive the ticket or short the trip—and Jimmy and I have had one-hour meetings in O’Hare—you have to see each other in person once every three weeks. In 11 years, we’ve only broken that rule once. I was working in Asia at the time and there was no way to do it. And you don’t bring your new boyfriend to the meeting, right? Kidding. Tell me about the experience of Allegiance, your new Broadway show. It’s based on the experience of George Takei during WWII during the Japanese- American internment. George was only five years old when he and his family were interned. But all the events are inspired by events that happened to George’s family—so many families. It’s based on his life, but it’s still a musical. There’s still artistic freedom that’s taken, to talk about this history that hasn’t been addressed in this way. No. We share a character. [Telly plays the young version of George’s character, and George also plays grandpa.] The musical starts in 2001. He’s at his sister’s funeral [played by Lea Salonga]. They’ve been estranged. The ghost of our sister brings us back to the ‘40s. How has the show changed through the years? I’ve been with the show for five years. Lea, I think almost seven. And it’s gone through so many changes. She was my Japanese teacher, then my sister-in-law, then my sister! They killed my brother and they killed my mother! But this is what happens with a new musical. But now it’s frozen, right? Not frozen at all. Last week, they added two new numbers and were reconceiving another. What I love about the team of Allegiance is they hold nothing sacred. They are willing to kill the artistic baby—that song they slaved hours over. If it’s not working, they’re not afraid to cut it. I now have a number based on a real event. Many of the people in Heart Mountain, the internment camp, started their own baseball team. They reconceived a number that’s about that—they all come together and find joy and a way to pass the time. They find baseball. And there really was a Heart Mountain All Stars team. So suddenly it becomes Damn Yankees? There’s a little bit of Damn Yankees in our show. What is the legacy of having appeared on Glee? At first, I didn’t realize what an impact that show would have. As an ‘80s kid, I didn’t have a Glee. The closest thing was maybe Fame, but that’s a little before my time. This generation is lucky to have had a show like Glee that’s introducing them to all this music that they otherwise wouldn’t get. You could download the music right after you watched the episode. Also, there’s the fact that Glee celebrates the underdog, and it was one of the first bold tellings of a teenage gay love story. I think people, especially young kids trying to come out, really connected to that. It represented this acceptance and the fact that it was OK to be who you are at Dalton Academy. Well, thank you, Telly. You’re not only a hot singer, but you’re a great talker too. See you in three weeks, lol. I’m so glad I’m openly gay and on a current TV show! I’m a guest panelist on Logo’s movie romp Cocktails & Classics—as I may have mentioned a few thousand times—and just last night, host Michael Urie, Shangela, actress Rutanya Alda, and I took over the Eventi hotel’s swanky Eventi suite and screening room to show Mommie Dearest and mull over its riches for a crowd wearing clothes riddled with wire hanger marks. 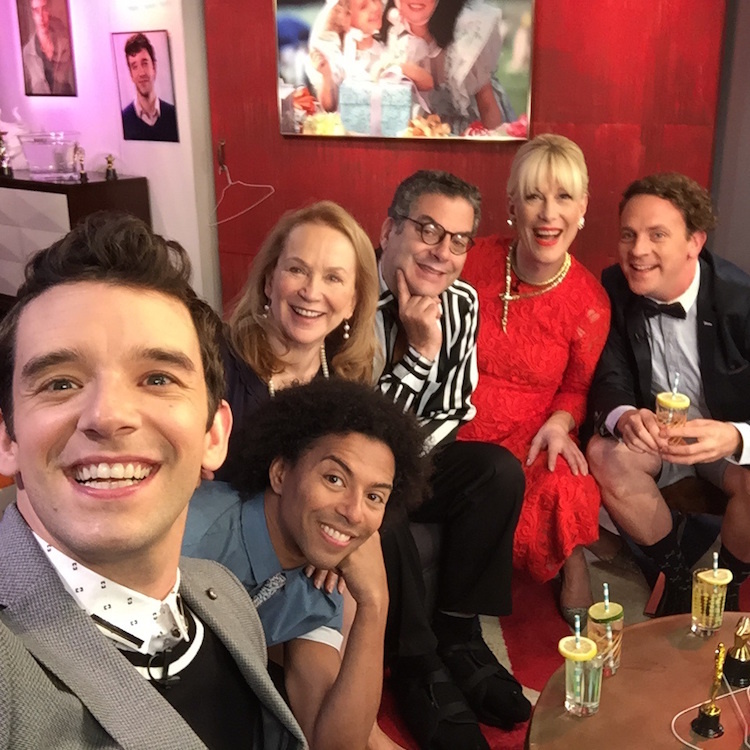 Over candy and Joan Crawford cocktails, we had a gay old time, and we do something similar on the TV show next Sunday, Nov. 8 at 8:30 p.m. ET, if you want to soak in the arched eyebrows. It becomes Shakespearean in its depth and dimension. 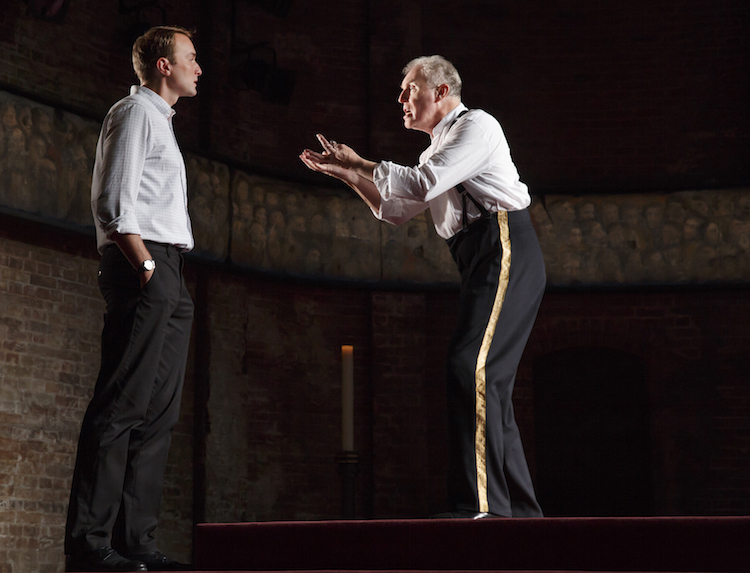 The production—headed by an excellent Tim Pigott-Smith as a bewildered and earnest, but ultimately furious Charles—builds in an intelligent way that you might not get in the Gloria Estefan musical. Only the appearances by Lady Di as a sort of floating ghost seemed contrived and unnecessary, but what do I know? I’m just a silly queen. 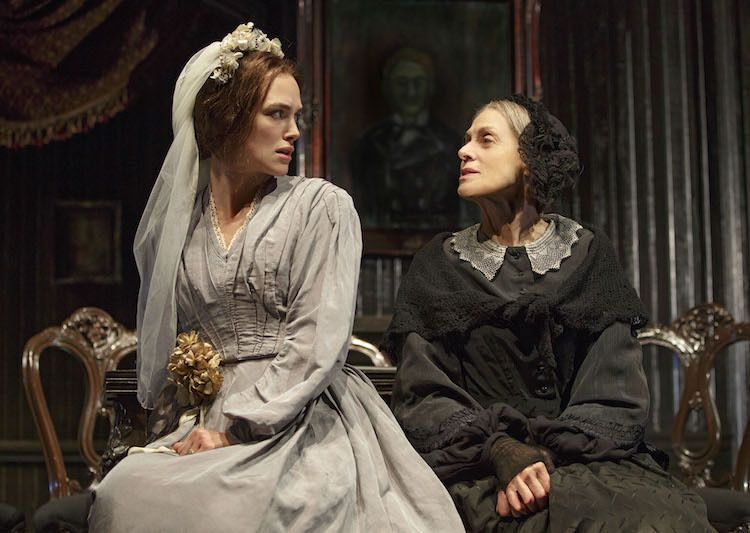 Having dabbled in melodramatic adultery in Anna Karenina, Keira Knightley once again finds herself in a loveless marriage that’s spiced up by a hot side dish in Thérèse Raquin, Helen Edmundson’s adaptation of the Emile Zola novel set in 1868 France. “Do you remember my funny little cousin? Well, I married her,” says the boorish man (Gabriel Ebert) who got himself hitched to the ever-unsatisfied Thérèse, as his often blindsided mother (Judith Light) misguidedly kvells. Well, along comes his easel-toting childhood friend (Matt Ryan), who Thérèse instantly grows hot for, craving a respite from the hell of her wedlock. But Laurent wants more than an occasional role in the hay, which—SPOILER ALERT—leads to some very dark doings, much haunting, and the old lady having a stroke after overhearing what happened, not being able to communicate what she’s learned because she can’t move. This is when you expect Carol Burnett to walk in, though in its final inning, Thérèse does get more twistedly interesting as a comment on out of control passion. But is that enough? The elaborately thought out production has constantly moving, impressionistic sets and lots of short scenes and solo reaction bits, making it more cinematic than theatrical, though the second half becomes increasingly stationary, as conflicting emotions simmer out of bounds. Knightley seems game, but playing such a tightly wound, repressed character often makes her one of the least noticeable things on the stage—one who restlessly wanders or quietly emotes under lamplight almost as much as she talks. Otherwise, the Evan Cabnet directed production has visuals and effects that are deftly designed and the stage is often awash in beauty, though the result is too often as dull as a bad marriage. Even beyond simple adultery, A.R. Gurney’s Sylvia has a marriage rocked by the husband’s sudden attachment to a flirtacious female dog! In the 1995 play being revived on Broadway, Greg (Matthew Broderick) brings home a walking, talking pooch named Sylvia (Annaleigh Ashford), to the chagrin of his wife (Julie White), who’d rather not have to face a dog disrupting her life and drooling on the couch all the time. But Sylvia’s thrilled to find herself in a nice home and tries to ingratiate herself, to the delight of Greg, who becomes infatuated with her to the point where he starts calling Sylvia “sweetheart” more often than he applies that term to his wife. As Greg’s new bond makes him feel connected to the universe, the play uses the pet plot as a metaphor for any spousal strayings that threaten to undo a relationship, resulting in very light fare, with some funny spurts followed by slow stretches, and some Shakespeare quotes awkwardly shoehorned in.